Known to many as 'The Island of Eternal Spring', the climate in Madeira mirrors the cake that shares its name: pleasantly mild at any time of the year, but even better when it's warm with custard. Okay, maybe the custard bit doesn't quite apply to the weather but still... who doesn't love custard? Cake and custard aside, Madeira is a beautiful island cluster found in the North Atlantic Ocean, just 600 miles south-west of Lisbon. Criminally overlooked by many, the autonomous Portuguese region is a hidden gem for anyone looking for a slice of sunshine, a relaxing break or simply an escape from the drab mundanity of UK grey. Perhaps best of all, the consistently fine weather makes this location the perfect holiday destination for those that fancy a sunny winter excursion. The climate in December can reach highs of 20 degrees and the Madeiran capital of Funchal is said to experience as much as five times more sun than London. If Christmas in the sun sounds like your kind of party, Madeira could well be for you. What's more, Madeira also holds the Guinness World Record for the largest ever fireworks display after their stunning show on New Year's Eve 2006. If you're tempted to celebrate the festive period and ring in the New Year in the Portuguese paradise, expect a lot more bang for your buck than a simple round of 'Auld Lang Syne' in the street. One of the many things that makes Madeira stand out is its spectacular scenery and, more specifically, its impressive array of vegetation. In fact, it's almost impossible to escape, with each turn blooming with enough stunning shrubbery to make Monty Python's Knights of Ni proud. While the whole region is rife with beautiful foliage and flora, no area celebrates this fact more so than the botanical gardens in Quinta do Bom Sucesso. This site is a veritable floriculture shock and has virtually every example of Madeiran vegetation on display for your viewing pleasure. If you're a fan of gardening, flowers or nature in general, this glorious gallery of gardeny goodness is a must. Speaking of flowers, the annual Madeira Flower Festival takes place every April to truly showcase the island's penchant for flower power - should you need any further proof. However, if floral finery isn't your bag, não tem problema – Madeira has plenty more to it than flower beds and greenery. If you're looking for something a little more exhilarating, why not try approaching the situation from a different angle... That angle being from a cable car high above the city streets! Cable lines old and new can be found dotted around the island, allowing you to live the high life quite literally, albeit temporarily. The sights and views that come with these ascents are virtually unmatched, ranging from quaint urban landscapes to lush mountainous terrain. With heights rising to as much as 560 metres in some areas, it's probably not for the faint of heart but – for those that can stomach a sheer sight or two – it's truly something to behold. For a more grounded experience, there are three sandy beaches for you to indulge in the complete holiday experience. While Madeira isn't renowned for its beaches, the sandy sites at Canical, Machico and Calheta are sure to scratch that seaside itch. When it comes to choosing holiday options, two stand tall above the rest in terms of convenience and, more often than not, value for money. Those are, of course, the package route and the all-inclusive option. Package holidays are, as the name suggests, the total package in terms of booking a holiday. With flights, transfers and accommodation often included in the overall price, the package route is ideal for anyone looking for a one-stop solution to their travel plans. Better still, Madeira package holidays are particularly useful for those who are either unfamiliar with the region they're travelling to or for those lacking in the organisation department. The package plan wraps up each facet of your holiday into one neat bundle (a package, if you will), giving you the complete holiday experience in one transaction. Sea life is a big part of life in Madeira, and whale watching is a popular activity. The island boasts 15 different species of whale nearby, while there are also many dolphins that inhabit the shores as well. What’s more, travel agents often buy up their package bookings in bulk, making them eligible for a greater discount overall. These savings can then be passed on to you the customer at their discretion, allowing you to nab a great deal not otherwise freely available to the public. Best of all, package holidays bought through a travel agent typically come with ATOL and ABTA protection, keeping you safe should there be any hiccups along the way - before, during, or after. When it comes to getting your money's worth, few holiday options can rival the almighty power of all inclusive. If you plan on spending a lot of time within the confines of your hotel, this route can prove to be very economical indeed. With virtually everything included in the overall price, guests are free to eat, drink and be merry at their leisure. This can be particularly rewarding if you plan on indulging in the restaurant or at the bar. What’s more, a variety of other on-site features and services are often included as well (such as gym use, entertainment, etc). However, there may be exceptions to the rule, and things like spa treatments and premium-brand liquors may cost extra. All-inclusive holidays in Madeira are also a great way to curb your spending while you're away, as the inclusive nature of most facilities can make it more obvious when you do part with your cash. Meanwhile, if you do need to rein in your spending, you'll always have the pre-paid provisions to fall back on. While holidays in general are typically all about relaxing, resting and recuperating, getting there can be anything but that. This is particularly evident when it comes to the financial side of the deal, and paying for said hols can be a case of robbing Peter to pay Paul. Luckily, we've got a few tricks up our sleeve that’ll help you jet off without having to sell your soul for 30 pieces of silver in the process. As is often the case with life, timing is everything when booking a holiday. If budget is a concern, it may be worth exploring off-peak times of the year to book your holiday. Avoiding popular holiday periods, such as July and August, could see the price of your trip drop almost instantly. Meanwhile, prices can also be somewhat elevated during traditional holiday periods where time off is more prevalent, such as Christmas and Easter. Planning your holiday around these windows can see the price drop instantly. As far as the booking itself goes, this can be equally as time-sensitive. Holiday prices tend to increase gradually as the weeks and months elapse, so securing your spot early can have a dramatic effect on the cost. Early-bird pricing is often notably cheaper than the same holiday booked up later on so, if you know when and where you want to go, the sooner you book up, the better. On the other side of the coin, a last-minute holiday to Madeira can be equally as rewarding and, in some cases, even more so than an early-bird deal. Travel agencies often channel their inner samurai during the final couple of days and begin slicing the prices left and right if holidays remain unsold. A keen eye and an open diary could see you bag the bargain of the decade if you’re flexible. Last but not least, the humble online comparison is virtually foolproof when it comes to finding a great deal. 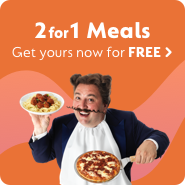 A quick GoCompare search can help highlight some fantastic holiday deals from numerous providers at the click of a mouse or tap of a screen, while it can also help highlight destinations and options you may not have even considered. A combination of a few of the above could see you jetting off to the luxury location of your dreams for an absolute steal. Best of all, it’ll probably allow you to do so without having to sacrifice your life’s savings, empty your rainy-day reserve, or dip into your child’s college fund for the privilege.